Local Australian manufacturing businesses can rejoice Rheinmetall’s list of manufacturers within Australia is to continue growing for the LAND 400 phase 2 project. 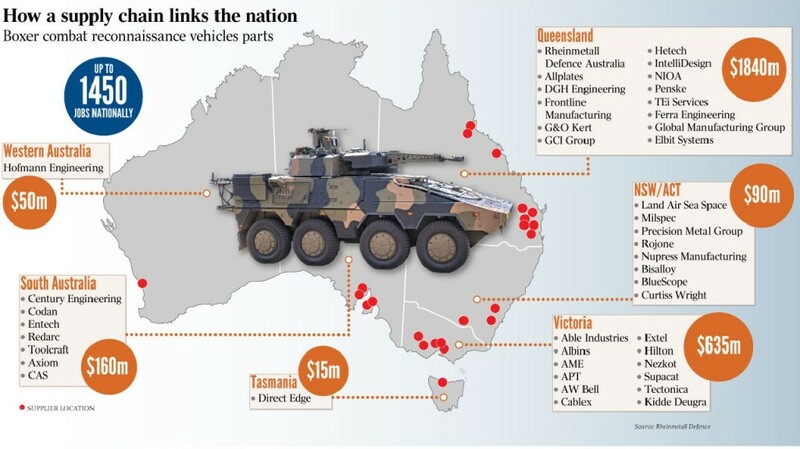 With a bulk of the $5b AUD being injected into Queensland ($1840m), Hetech are locked in and ready tackle the electronics manufacturing for the Boxer Combat Reconnaissance Vehicle, expected to be delivered by 2020. The project has also sparked much interest in small businesses to start looking towards the future of defence production, as the ADF will soon be facing decisions for the LAND 907 Phase 2 and Land 8160 Phase 1 projects. Hetech are more than ready to tackle electronics development, design and manufacturing for current and future defence projects. Our sights are set and targeted on bigger and better things in the future.